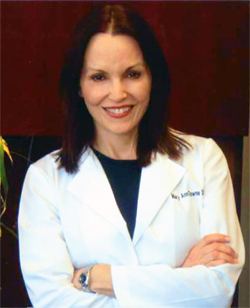 It is with great pleasure to announce Dr. Mary Ann Towne’s return to private practice. Dr. Towne has relocated within the Fitness Clinic in northeast Fort Lauderdale. She continues to practice a philosophy whereby exceptional physical therapy begins with a comprehensive assessment followed by skilled hands-on techniques. Appropriate exercises will be prescribed thereafter. In order to provide a high caliber of physical therapy, Dr. Towne will practice on a private pay basis. There must exist a value to the understanding and care of one’s musculoskeletal system without the restrictions of third party payers. Dr. Towne will work closely with your physician(s) and other healthcare providers to provide a comprehensive approach for your treatment needs. Prescriptions will be needed for all post-operative patients within the initial twelve weeks of healing to ensure post surgical safety and accepted protocol. All new and returning patients are required to complete admission forms regarding their current status. Evaluations will be required, as is customary, for all new patients. Returning patients may need an updated assessment. Dr. Towne looks forward to working with her former patients and new ones alike.